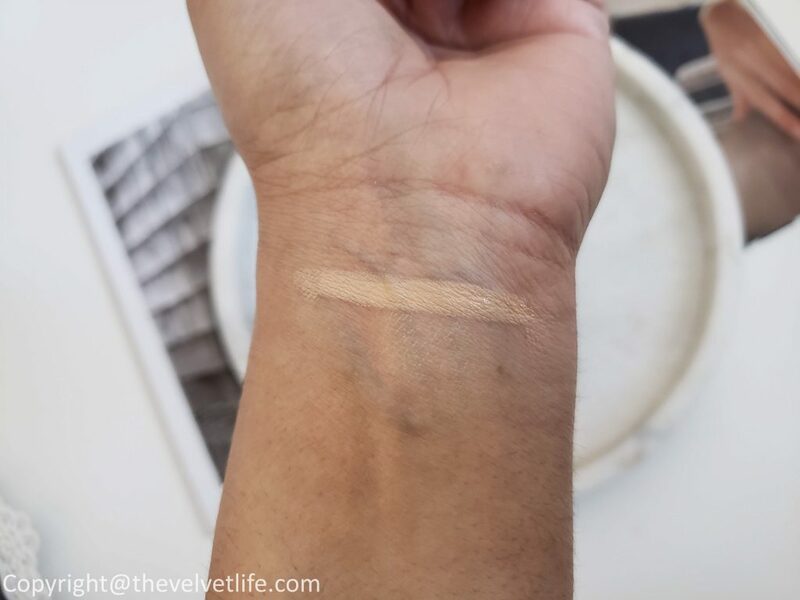 I still have the products from the holiday collection of By Terry on rotation and there is this new concealer highlighter which has been a really nice addition to my makeup. 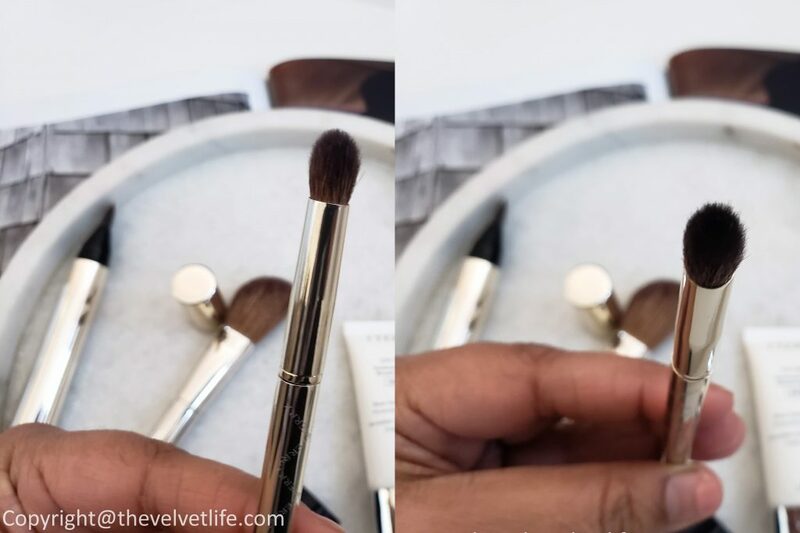 By Terry Touche Veloutee Highlighting Concealer Brush is a medium to full coverage concealer to correct the under-eye area. 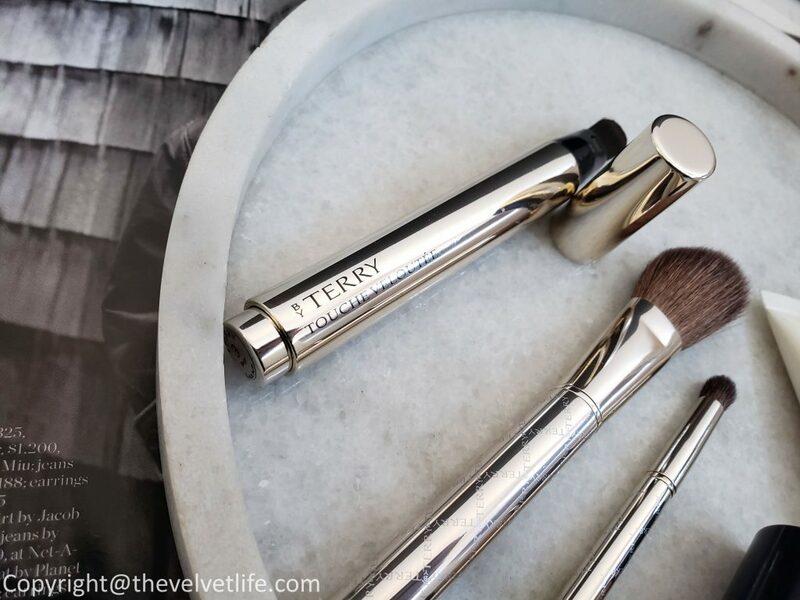 By Terry’s Touche Veloutee has a creamy texture, featherweight formula, and blends seamlessly. It illuminates and helps disguise dark circles, camouflage pimples and counteract signs of fatigue. 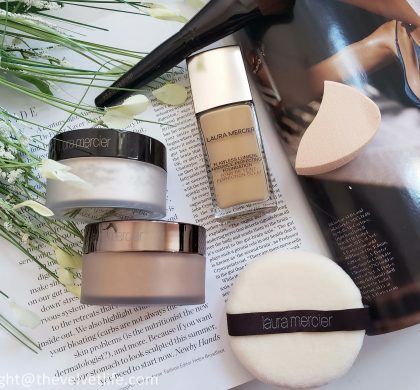 The formula is enriched with ingredients that help combat shadows, puffiness, alongside ‘soft focus’ pigments to create a naturally flawless finish. 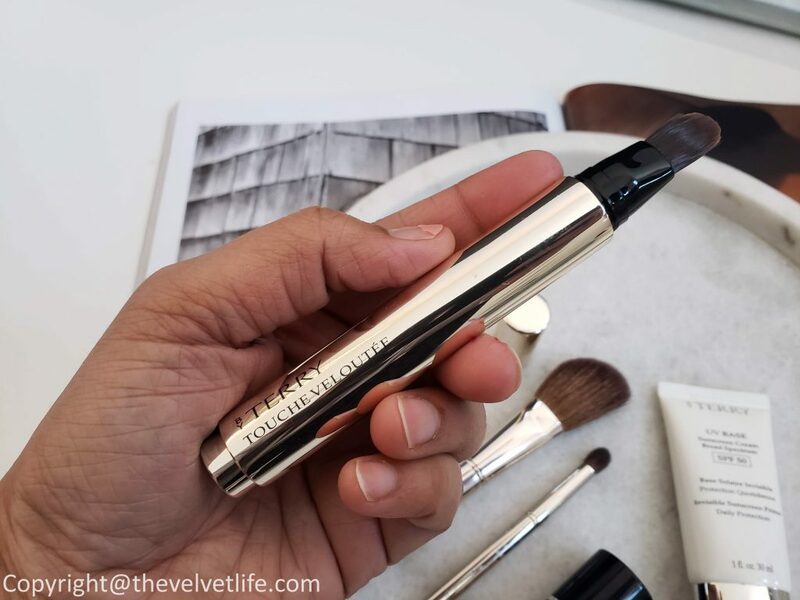 I really like the silky brush applicator which glides over skin without irritating it. 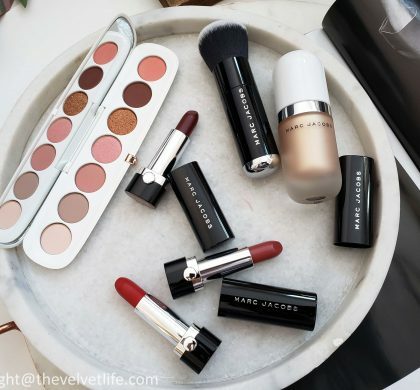 The coverage is medium and longevity is good. It does not dries out or settles into the lines, unless you have very dry skin or your skin is lacking moisture. The finish is very natural radiant. 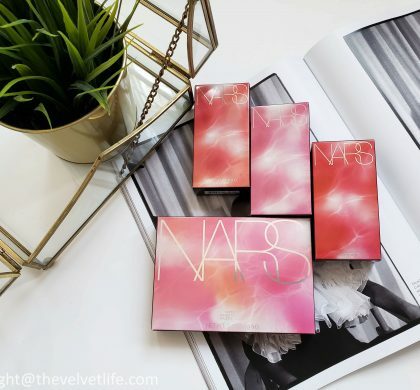 I dab it directly on spots or the problem areas to create a flawless canvas or apply to outer-corners of the eyes to help fake ‘wide awake’ in an instant. Under the eyes, a one or two dabs work nicely to brighten the overall look. I may or may not follow with a setting powder, it works nicely both ways. Coming to the two brushes I have been using as multi-purpose tools. 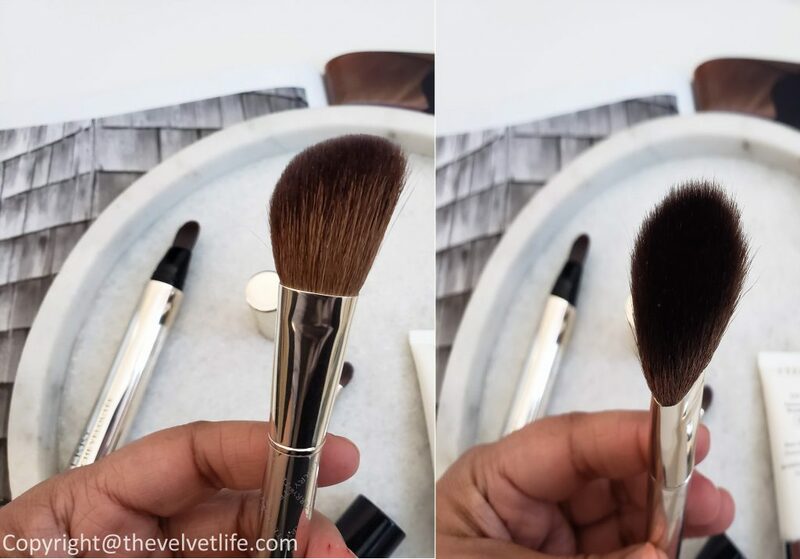 The brushes are soft, dense, and very comfortable to use on my skin. 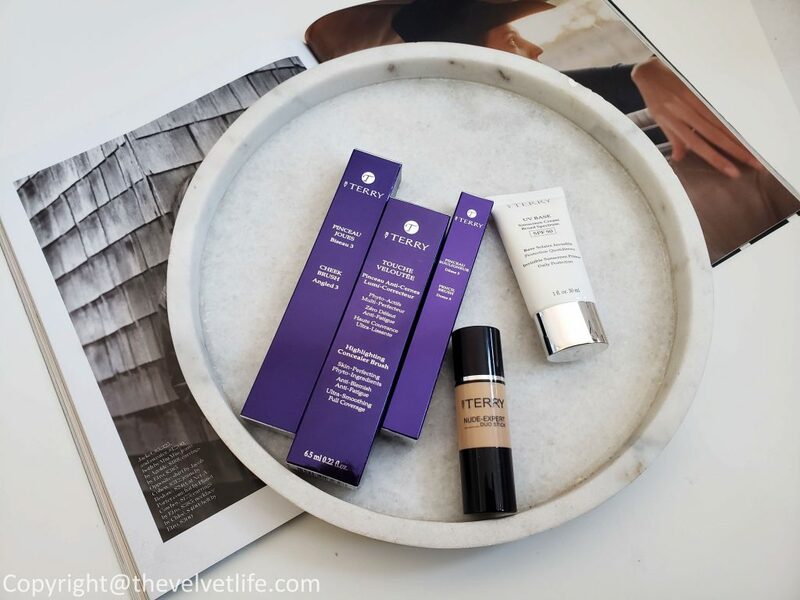 Both work as described, applies and blends the product seamlessly into the skin. 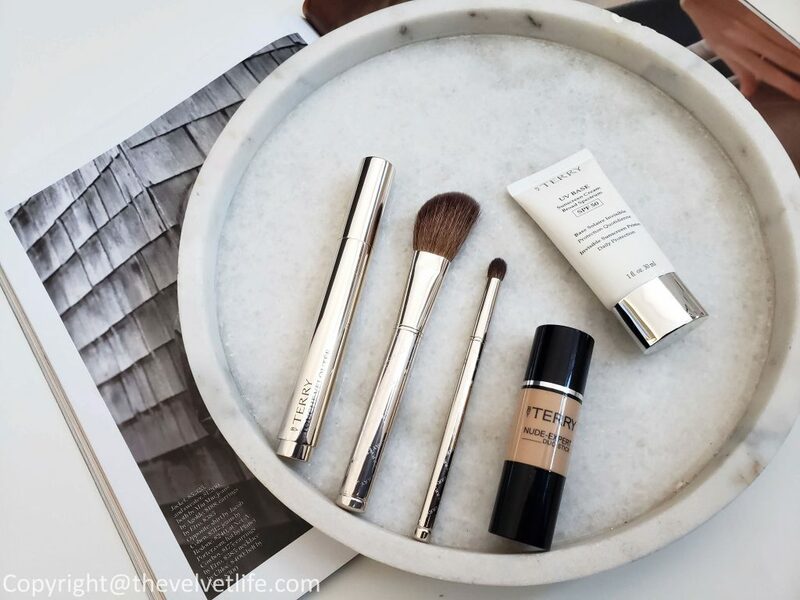 By Terry products are available at byterry.com, Nordstrom, Barney NY, Beautylish, Spacenk, Cult Beauty, NetaPorter.